A police officer secures the area in front of the Masjid al-Noor mosque after a shooting in Christchurch on March 15. Attacks on two Christchurch mosques left at least 49 dead on March 15, with the gunman—identified as an Australian extremist—apparently live-streaming the assault. One of New Zealand’s worst-ever massacres shook the city of Christchurch today. At least 50 individuals were killed during attacks on two mosques; another died later in the hospital. A further 48 were wounded. The attacks were carried out by a heavily armed white supremacist, who live-streamed the attack in a grisly 17-minute video posted on Facebook. The attacker has since been apprehended. Two other individuals are in custody for suspected connection to the attacks. Improvised explosive devices were found fitted to cars in the vicinity and were disabled by early responders. Forty-two people were shot dead in al-Noor Mosque, the first mosque the shooter targeted. The Bangladeshi national cricket team narrowly escaped the attack, arriving at the mosque while the shooting was in progress. Seven people were killed in the second attack, which was at nearby Linwood Mosque. Casualties included people of all ages, including young children. The center of Christchurch, the largest city on the South Island of New Zealand, turned into a ghost town as police put buildings on lockdown. Panic spread as far as the North Island city of Auckland, where a train station was evacuated after two suspicious bags were located and destroyed in controlled explosions. As far away as London, England, security was bolstered around mosques for Friday prayers. 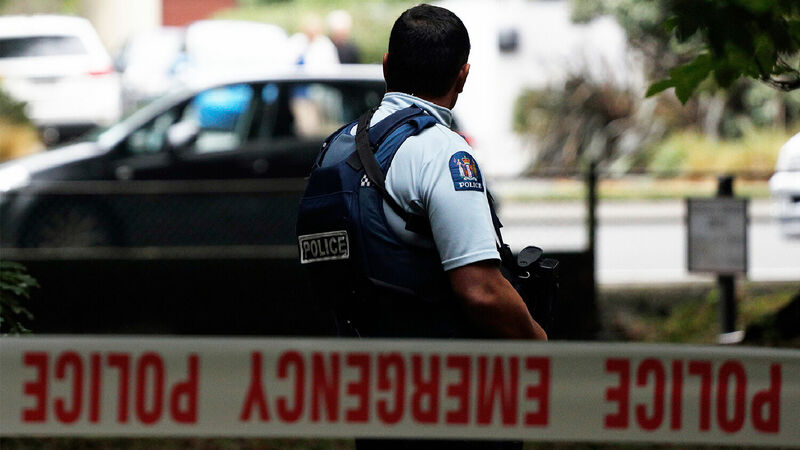 The Australian-born perpetrator, identified as Brenton Tarrant, reportedly had been planning the attack for two years, deciding three months ago to target the city of Christchurch. He posted his intentions online as part of a 73-page manifesto, which outlined far-right, anti-immigrant views. Tarrant allegedly carried out the attacks in revenge for terrorist acts perpetrated by Muslim “invaders” against Europeans, such as the 2016 truck-ramming attack in Nice, France, which killed 84. He stated in his manifesto that the 2017 Stockholm attack, which killed an 11-year-old girl and four other people, initially sparked his desire to plan an attack. Today’s death toll makes the attack the deadliest massacre in New Zealand in 210 years, and the deadliest in its history as an independent nation. The casualty total is only surpassed by incidents in 1809 and 1772—before New Zealand was established as a nation in 1840—which were warlike attacks between colonialists and Maori cannibals. Christchurch made world headlines in 2011 after it was hit by a massive 6.3-magnitude earthquake that killed 185 people. The city is still recovering from the quake damage. Now, the city of 400,000 inhabitants has been brought to its knees again by another tragedy. In this day and age, tragedies have become a regular part of life. Some are more jarring and horrific than others, particularly when they are close to home or when they occur in what is typically perceived as a peaceful, sanctuary-like location such as New Zealand (although this assumption of the country’s tranquility is far from the case). Whilst this kind of violent vigilantism can never be justified, what it highlights is the growing fear within our community, both in Australia and New Zealand, of the increasing Muslim presence. As always, left-wing politicians and the media will rush to claim that the causes of today’s shootings lie with gun laws or those who hold nationalist views, but this is all clichéd nonsense. The senator’s statements were poorly timed, but his views do represent the fears of a significant percentage of Australians, who voted him into the Australian Parliament. New Zealand and Australia are each dealing with a divided community: Nationals fear mass immigration will bring radicalism or significantly change demographics and culture; and the large immigrant community fears revenge attacks, as highlighted by today’s shootings. As Jesus Christ declared, “Every kingdom divided against itself is brought to desolation, and a house divided against a house falls” (Luke 11:17). Despite the noblest of platitudes from leaders and officials, multiculturalism is never “our greatest strength.” There is no “strength in diversity.” And there is no place for bloodthirsty radicals like Tarrant, whether they are Muslim extremists or Islamophobes. Attacks like this point to serious problems in our societies: failures in family that can lead to monsters like Tarrant, the failure of multiculturalism, the spread of terrorism around the world. We can expect to see politicians put forward many simple solutions to these problems, such as more gun control in New Zealand, crackdowns on criticism of Islam, and more policing of what you can post on Facebook. But none of these solutions address the real cause of our problems. As we point out continually at the Trumpet, Britain and its Commonwealth of nations, including New Zealand and Australia, are cursed. The Bible precisely describes the state of our nations, down to our weather problems, our obsession with multiculturalism and our internal division. It describes our “sick” nations as being like “a cake not turned” (Hosea 7:8)—fragile and divided. Our own sins and moral failings are causing us many problems. In addition, God is sending curses on our societies for our rebellion against Him. For more information on these prophecies and what they are leading to, request our free book The United States and Britain in Prophecy, by Herbert W. Armstrong. Tragedies like the New Zealand mosque attacks should stir us more than ever to pray, “Thy Kingdom come.” The good news is that it is coming—very soon. This article has been updated, with more recent statistics.